It was almost midnight. 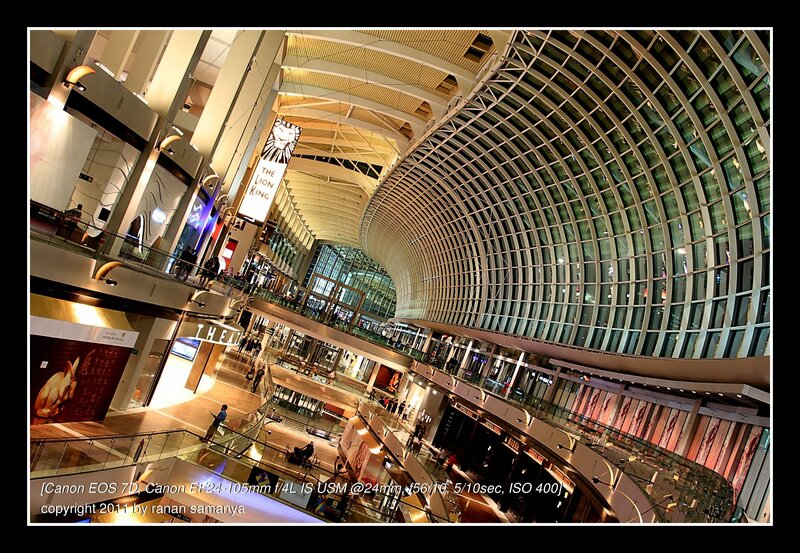 The shops in the mall of Marina Bay Sands Singapore were all closed, but the main lights were still on. It was easy to set up a tripod and compose. I sort of like the curvature. I enhanced the original tint of rose on the wall, and edited the Lion King neon box to get the original colour back. BTW, Lion King Musical will open this March.